This fall I crocheted a baby blanket for Stafford. 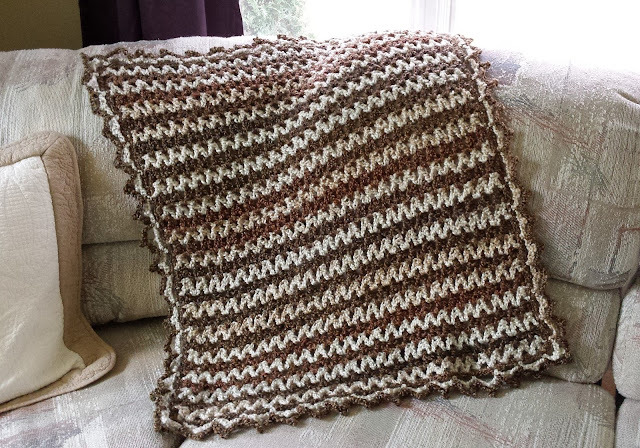 It was made with the same pattern I used to make blankets for William and Adelaide when I was pregnant with them. 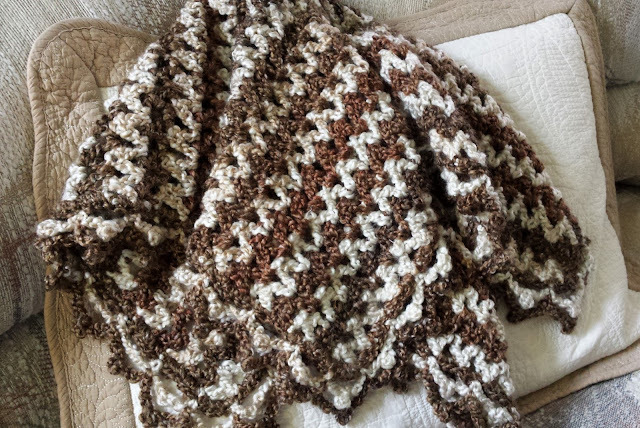 I also used this pattern last winter to make a baby blanket for a friend. 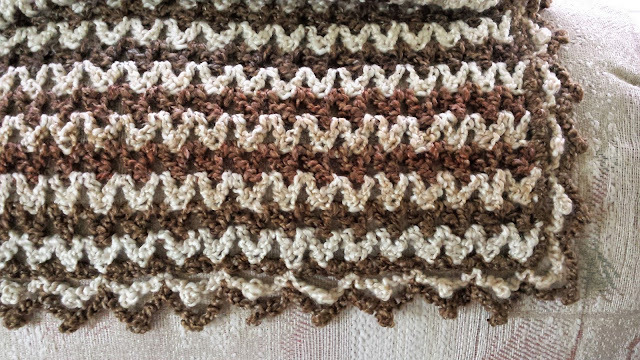 The pattern is called "Homespun Crochet Three Color Baby Blanket," and it is from Lion Brand Yarns. I found it on a yarn wrapper 12 years ago, but it is not available to link to online. If you are looking for a quick and simple baby blanket pattern, this one from Lion Brand Homespun is very similar to the one I made. Homemade baby blankets are one of my favorite things. I look forward to snuggling with Stafford under the warmth of this baby blanket. I have several other items I am hoping to crochet for Stafford before he arrives. I hope I will have energy to keep my hands very busy over the next four months! What projects have you been working on lately? How are you keeping your hands busy?